In the decades leading up to the Civil War, the Underground Railroad ferried enslaved African Americans in the South to freedom in the northern United States and Canada. And Southwest Ohio, bordering the slave states of Virginia and Kentucky, played an especially important role in the clandestine network. One stop along the Underground Railroad still stands in Springfield. Preservationists have spent nearly two decades restoring the historic Gammon House and say it holds a message for future generations. The neighborhood where Springfield’s Gammon House is located is facing some economic challenges, visible in many of the nearby buildings and homes, some of which have been abandoned. The house itself is a small, unassuming, time-worn red and brown-brick structure surrounded by a chain-link fence. Inside though, the walls are freshly painted in shades of blue and pale green. And each room holds artifacts and displays that tell the story of the home and its original owners, George and Sarah Gammon, and the role they played in the Underground Railroad, a secret network of people and places stretching from slave states in the South to safety in the North. Gammon House director Dale Henry says the Gammons put themselves in danger to help others escape slavery. “They really risked their lives back in those days because the Fugitive Slave Law of 1850 made it possible for slaves to be captured in Ohio, or any other state actually, and be returned to their owners,” he says. It was a federal crime to aid or harbor escaping slaves. Anyone found guilty of the crime could be punished by severe fines or even imprisonment. Evidence indicates the Gammons were fairly prominent ‘free people of color’ and so their actions also put their social standing at risk, Henry says. The Gammons also risked being turned in or shunned by any neighbors who might have thought their actions were criminal. It is believed the couple purchased the land where the house sits from Sarah’s parents, who owned a larger tract of land, where neighboring houses now stand. Henry says they were hardworking members of their Springfield community. 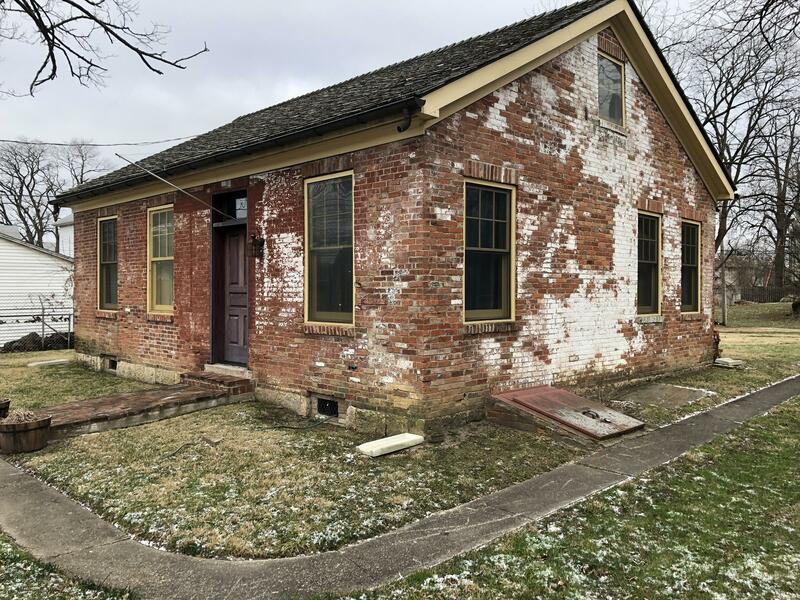 “They raised seven children here in this house, and we believe that their involvement in the community and their connection with the AME church in Urbana made them very, very significant part of the Underground Railroad,” he says. But it could have been a much different story. The house was slated for demolition, but thanks to the efforts of preservationists it received special recognition as an Underground Railroad site in 2000. With the 17-year effort to restore the home now complete, Henry says the site serves as a lesson to future generations. Henry says he hopes the Gammon House, which is now a 501c3 organization, will open its doors to the public for tours this spring. To help reach that final goal, Mad River Theatre Works Company is planning a benefit performance of their annual production Freedom Bound for 7 p.m. on Jan. 18, 2019, at the John Legend Theatre in Springfield. The fascinating story of how African Americans found their way to the Cincinnati suburb of Glendale via the Underground Railroad, and the historic significance of the Eckstein School building there is now recounted in a new book.